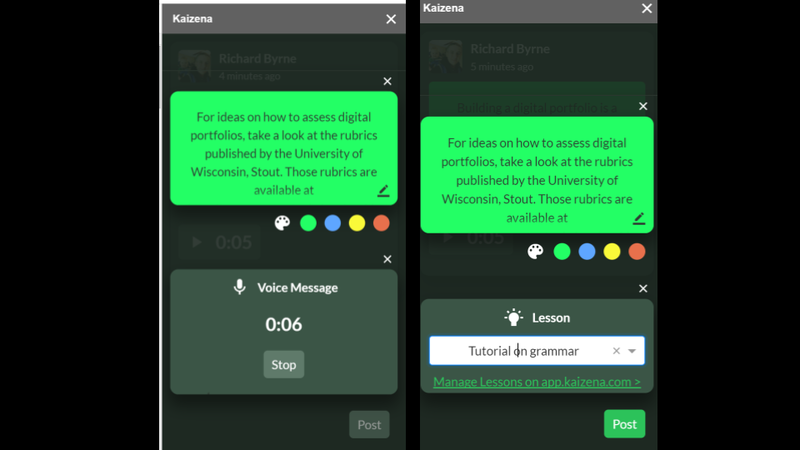 Back in January Kaizena released an update that streamlined the process of adding voice comments to Google Documents. This afternoon they announced an update to how they handle voice comments. First, they've improved they speed at which voice comments appear in documents. Second, they've added the ability for to continue to record even if your wi-fi connection drops out during your recording. Kaizena will continue to record even if your connection drops out. Your recording will upload when your connection is restored. Watch my video to see how easy it is to add voice comments to Google Docs with Kaizena.